A Land Contract does not have to be undertaken using a do-it-yourself legal document. Or do-it-yourself accounting. Or do-it-yourself oversight. Nor does one party have to take the word of the other that the contract is written fairly to both sides. Or guess that the Deed transfer will be done correctly at closing. 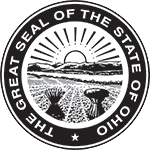 Another option exists in Ohio that provides a professional, start-to-finish service in the interests of both the Buyer and Seller. A process that gets all of the critical transaction details 100% correct. That option is RealtyPact. RealtyPact provides professional legal document preparation for all of the Ohio Land Contract paperwork, deeds and disclosures required for the transaction, written with fair consideration to both parties. Having access to these types of services turns a Land Contract from a do-it-yourself prospect into something much more simple, professional and straight-forward for both the Buyer and Seller. In fact, using RealtyPact makes an Ohio Land Contract a true alternative to a bank mortgage loan.